There are three programs available for creating yoga as a lifestyle! Start at the basics and deepen your current practice OR build on what you've already developed and maintain a leading edge practice. From Worrier to Warrior! The 100 Hour Immersion is for ANY student of yoga. The 200 Hour Teacher Training is for those ready to learn the basics of embodying and teaching yoga. 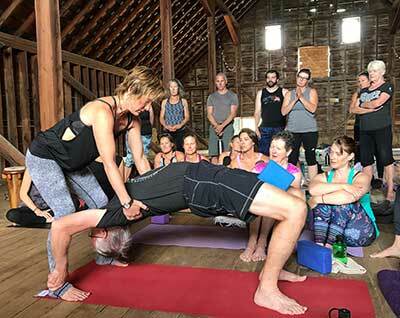 The 300 Hour Advanced Teacher for those building on a current teaching practice to become more skillful, confident, and wise teachers of yoga.